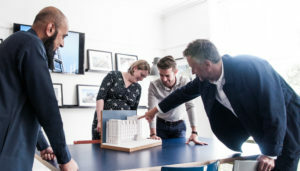 David Cox Architects believe that good design has a strong economic value. This informs our work from each project’s inception and we will ensure that each site achieves its maximum potential. Our experience and knowledge enable us to specify materials and innovative methods of construction which offer the best value for money over the life of the building – we always strive to add value not cost. Our work is unique to each site and to each brief. We do not have a house style or seek to impose architectural theory on our clients. We rely on long-term relationships built up over the years and have established an excellent reputation for imaginative solutions, reliability and good communications. David Cox Architects has operated Building Information Modelling (BIM) software for over 20 years. Constantly updated, this complex computer aided design tool offers unequalled speed and accuracy and a seamless interface with other consultants, contractors and clients. 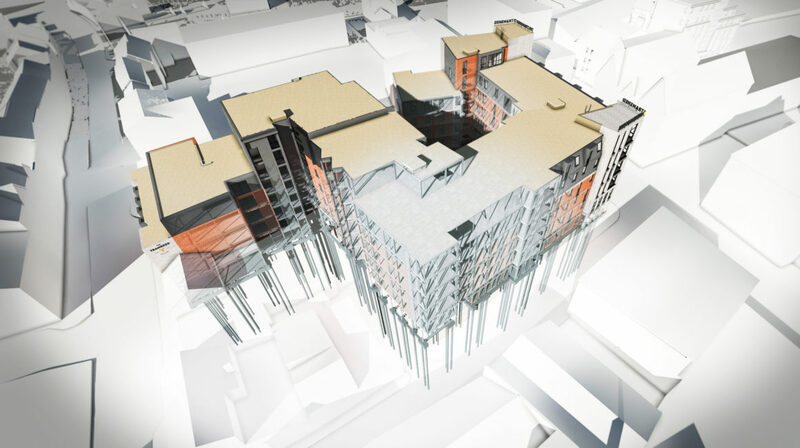 Our in-house visualisation service produces accurate and impressive 3D images and fly-throughs of projects, which are excellent for communicating proposals to clients and planning committee. Please see our commercial services page here to see some of these visualisation services in action. CLT or cross laminated timber is a sustainable construction method increasingly being used for taller buildings in many sectors including high rise residential. The material is formed from layers of timber glued together at right angles under pressure and then industrially laminated, giving it an inherent strength which means it can be used to form structural elements including internal and external walls, floors and roofs. As CLT is a lightweight material, slab requirements can be reduced. Panels are prefabricated off site in accordance with detailed architectural designs, with allowances for door and window openings, plumbing and electrical services etc. The panels are then bolted together on site, enabling the build to be made watertight early in the programme so that other trades can be on site more quickly. While costs for CLT may initially seem higher, these are offset through significant reductions in project completion times and on-site waste. Please click here for more information about our CLT project in Loughborough, or see left for a short animation by G-Frame of how the CLT panels were constructed – the total build time for the CLT element was just under 4 months. FUSION BUILD is a light gauge steel (LGS) panelling system similar to CLT in the way it is assembled on site but utilising an entirely different material set. This patented system comprises a steel prefabricated panel, combining the structure, waterproofing and insulation, that can then be screwed into the slab. For more information about Fusion Build please visit their website here. 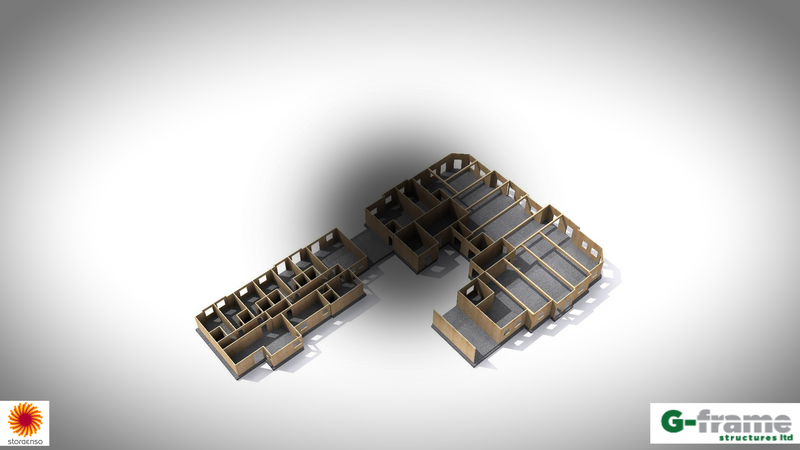 We are currently using this building technology on a 5 storey, 300 bed student living development in Stoke-on-Trent. The off site prefabrication will significantly reduce the build time, with a corresponding reduction in costs. For more information about this project please click here.